Oracle has announced further integrations between key elements of its Marketing Cloud platform as it strives to unite a growing suite of applications and capabilities and win over marketers. During the recent Oracle OpenWorld event in San Francisco, the vendor said it had integrated the former BlueKai Data Management Platform (now the Oracle Data Management Platform solution) with its Cross-Channel Marketing offering to help customers improve acquisition, retention and re-engagement with retargeting across multiple channels. Oracle acquired BlueKai in February. The platform aggregates information from more than 200 third-party providers and repackages this so marketers can run targeting marketing activities online as well as offline and through mobile devices. The integration now allows marketers to anonymise customer behavioural data generated through Oracle’s Eloqua Marketing Cloud, such as campaign response and engagement level, and integrate it with the third-party data sitting in the Oracle Data Management Platform. This can then be used to created specific audience models and be used for retargeting in search, display, mobile advertising and for site optimisation. The vendor pointed to a recent report from Forrester Research, which found 82 per cent of marketers lack a single unified view of the customer and are therefore failing to target customers across channels. 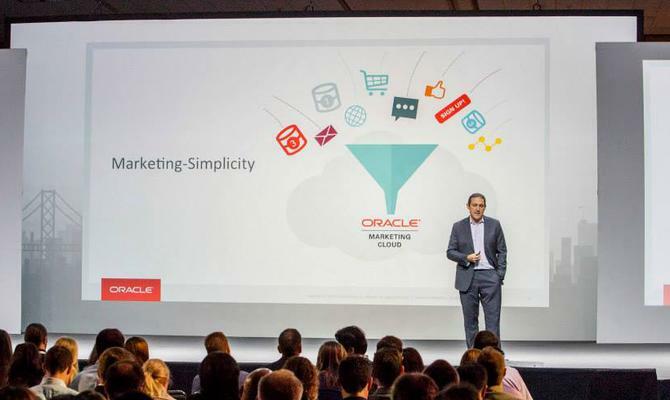 “True customer centricity only happens when companies can unify their marketing data with the execution of messaging with that data under one umbrella,” Oracle Marketing Cloud group vice-president of products, John Stetic, said. According to Oracle, the Data Management Platform holds more than 400,000 data attributes spanning 700 million anonymous customer profiles. Oracle has also integrated its Marketing Cloud with third-party application, Box, a decision it says was driven by the need to make it easier for marketers to collaborate on content marketing efforts and better manage digital assets. Box is an Oracle Marketing AppCloud partner and launched its cloud-based storage and file sharing tool in 2005. More recently, the company has endeavoured to expand its offering into document process management by adding new capabilities around. Through the integration, Oracle said Marketing Cloud customers have the ability to develop content with commonly used tools such as Microsoft Office products and PDFs, and instantly convert these into HTML5. The Box platform also automatically syncs with Oracle’s campaign management tools. “As demand for unique marketing content grows, marketers need an easier way to share content and collaborate with internal teams and external agencies,” Oracle Marketing Cloud senior vice-president and general manager, Kevin Akeroyd, said.